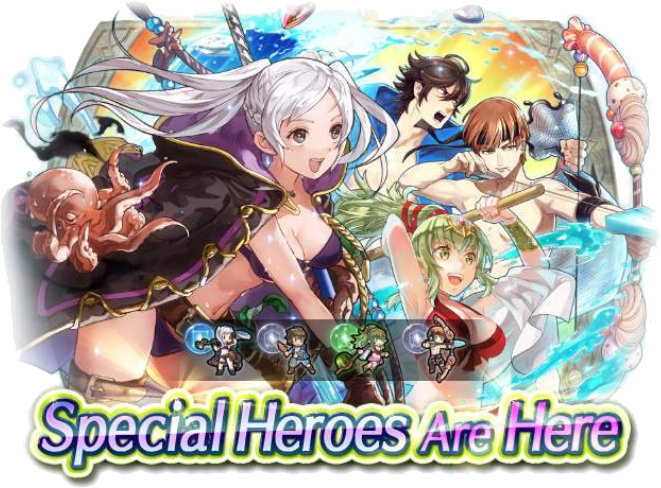 Heroes: Original Summer Banners are Back! 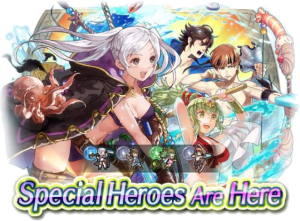 Fire Emblem Heroes is celebrating the summer weather by bringing back some old special heroes. Both of the Original Summer Banners are back! 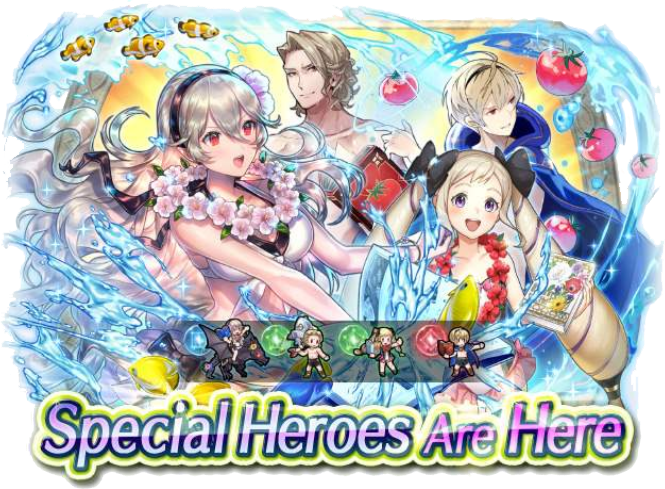 Try your luck at both the Ylissean Summer and Nohrian Summer banners, now available. 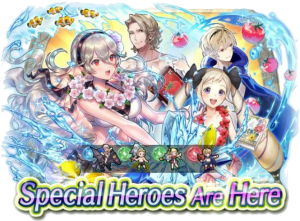 You could end up with one of eight different original summer heroes: Robin, Frederick, Tiki, Gaius, Corrin, Xander, Elise, or Leo. Good luck summoning the hero of your desires! Both banners will be sticking around for one month, finally ending on 25 July. Additionally, pre-registration is open for the next coming Grand Conquests! It will begin tomorrow, 26 June, at 11:00am UTC. Today is also the final day for the current Tempest Trials+, so make sure you’ve earned up all your rewards! Double banner release? Jeez IS, give me some breathing room will ya. Didn’t get any of the focus, but I did finally pull a 4* L’Arachel with good IVs…so I’m pleased. Oh, boy! Two banners with units whose weapons got powercreeped by the last one! I got pitybroken by Gaius in a legendary, so the only one worth my orbs is Corrin (I don’t have Ninian). I don’t have any of the colorless units from Ylissean Summer, or any of the green units from Nohrian Summer. Maybe I will try to get them until the end of the time event. I don’t plan to use any of them, expect Summer Elise’s Green Tome Valor.